Research continuously shows that local ownership of businesses and infrastructure paired with place-based investments can both build community wealth and facilitate development without displacement. Frontline communities, such as environmental justice communities and communities of color, are disproportionately subject to fossil fuel development and public disinvestment in infrastructure. When development occurs, low-income residents are often pushed out of the community before they can benefit from innovative solutions. 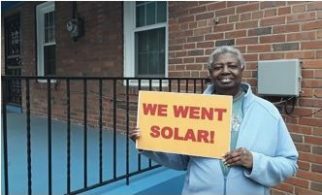 Investment in solar projects sited in low-income communities and developed in close collaboration with community organizations and residents can help meet community-specific needs, create employment opportunities, and build community wealth. 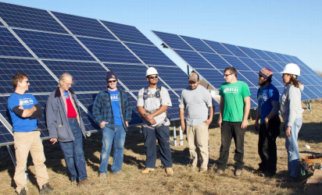 While there are few examples of place-based investments used to advance solar development, there are other models that offer guidance on how low-income solar projects can be supported through this mechanism. California Green Zones. 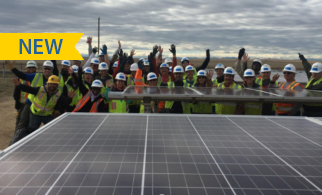 California Environmental Justice Alliance (CEJA) has pursued a green zone approach that supports community participation in planning and decision-making processes that can allow for economic and social development including community shared solar. 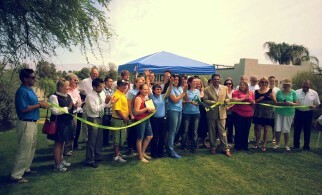 The green zone initiative first identifies neighborhoods that are heavily impacted by pollution, then assesses both the assets and needs that these communities have for project development, pools existing capacity, and directs a range of additional public benefits and programs into those communities. 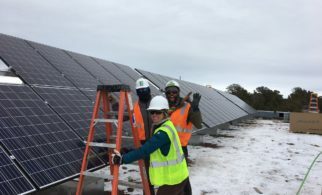 While not current policy, green zones are being pursued by community organizations as a conduit to utilize the California Climate Investments funds that are reserved for “disadvantaged communities.” The investment plan for these funds includes dedicated solar development in low-income communities. Ohio Special Energy Improvement Districts. 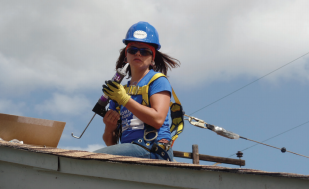 In 2009, the Ohio state legislature passed enabling legislation that granted municipalities bonding authority to finance energy efficiency upgrades and renewable energy projects on real property within designated areas known as Special Energy Improvement Districts (SEID). Municipalities have the authority to set the criteria and guidelines for the program and issue bonds. Residents of an SEID can apply for funding to improve their homes through efficiency and renewable energy projects. They pay off the loans through a Property Assessed Clean Energy (PACE) program, which adds an assessment to their property tax bills over a number of years. 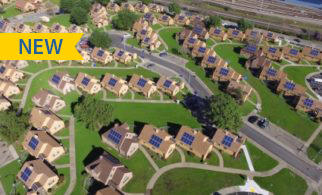 Most SEID programs focus on the residential sector, though the City of Cleveland partners with the First Suburbs Development Council to create commercial loans for energy improvements. Churches and local, county, state or federal properties are not allowed to be considered within a SEID unless they are specifically part of the nonprofit corporation or seek acceptance through a formal application process. The definition of an existing qualified nonprofit corporation includes a nonprofit corporation that is providing or assisting others in providing housing for low- or moderate-income persons. The Ohio SEIDs create an opportunity to leverage PACE programs to focus public financing for efficiency or renewables in specific places. This allows a municipality to better leverage funds or for residents to pool their consumer power to negotiate bulk purchasing of efficiency services or renewable energy installations.